Will you give me detail about the Pharmacist Vacancy at Jaipuria Hospital that is attached Hospital of RUHS College of Medical Sciences, Jaipur Rajasthan (RAJ) ? Also please provide me detail about vacancies available at RUHS College? Hello sir, I want to get job in Rajasthan University for Health Sciences. Is there any pharmacist vacancy in Rajasthan University for Health Sciences? 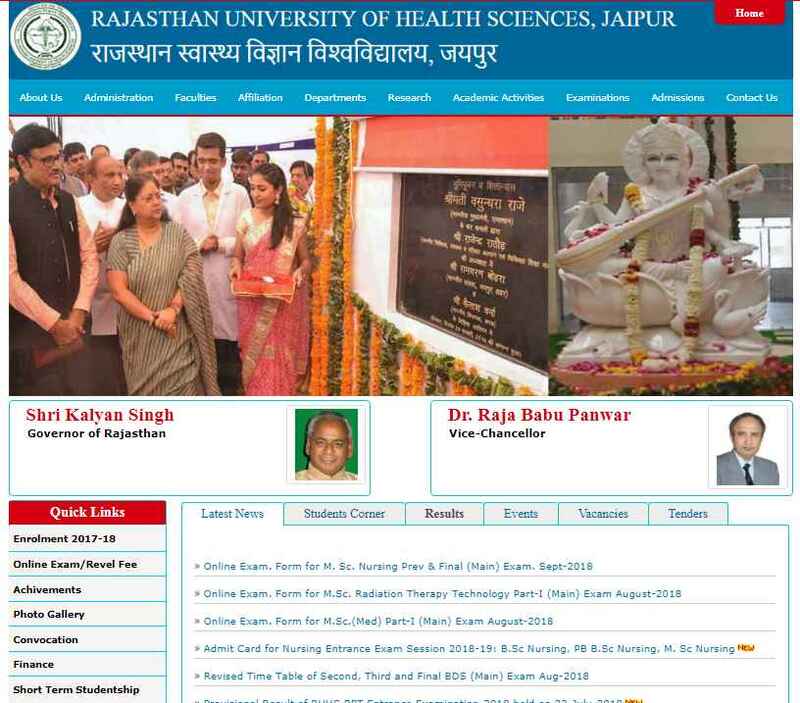 The Rajasthan University for Health Sciences every year is announced notification for pharmacist vacancy. But currently there is no vacancy for pharmacist. The University endeavors the process of making itself a leader in world medical education by focusing on the systemic instructions, teaching, training and research activities. Applications are invited to fill up posts for pharmacist for direct recruitment in hospital driven by medical and Health department. Age freedom provided as per state government rules. Candidate should be diploma in Pharmacy and registered as pharmacist in state pharmacy council, jaipur. Candidate should have knowledge of Rajasthani culture and devanagri and basic knowledge of hindi. Candidates interested in RUHS Recruitment have to fill the online application form for the written test that has been conducted in the month of May 2018. There is age relaxation for certain categories regarding maximum age limit. Ex-Servicemen: Maximum 50 years of age. General (Females): Age Relaxation is 5 years. Disabled People: For General it is 10 years, for OBC it is 13 years and for SC/ST it is 15 years.